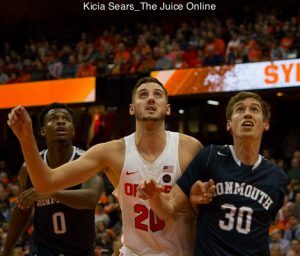 HomeBasketballDo recent Syracuse draft picks tell us how Tyler Lydon will fare? Do recent Syracuse draft picks tell us how Tyler Lydon will fare? Yesterday marked the deadline for players to withdraw their name from NBA draft consideration. This year, like last year, players could not hire an agent and test the draft waters without losing their college eligibility. No Syracuse player fell into this predicament this year, with underclassman Tyler Lydon declaring for the draft and hiring an agent shortly after the Syracuse basketball season ended in March. Still, every year, the question remains the same, and does apply to Lydon this year: stay or go? Leave too early, and you could cost yourself millions. Stay too long, and you could cost yourself millions. Which category will Lydon fall in? I can’t answer that. But I can point to recent SU players as a guide. Last year, Malachi Richardson left after his freshman year while his stock was high after leading the Orange to the Final Four. He was drafted in the first round. Lydon is a projected late-first round pick. Possibly second round. He had a good year for the Orange but not the expected amazing year. Still, his stock may not get higher. I’m all for players making their own decisions. 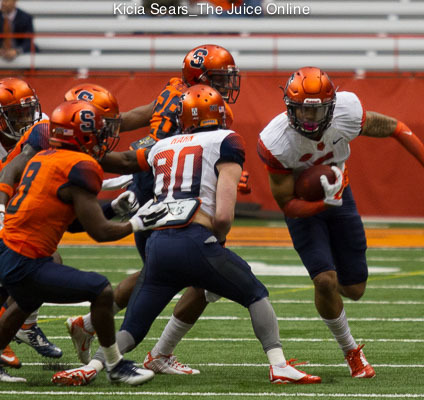 Do I wish guys stayed at Cuse longer for selfish reasons? Of course. But I also like seeing Cuse guys have success in the NBA. Richardson just finished his rookie year, so it’s too soon to judge. Players like Chris McCullough and Tyler Ennis bolted while their stock was high, and haven’t found solid footing in the NBA. Michael Carter-Williams left early and was Rookie of the Year. He’s been a solid NBA player that has bounced around. So it’s been mixed results. A lot has to do with where you land and team personnel. Honestly, the only star in the NBA right now to come from SU is Carmelo Anthony. 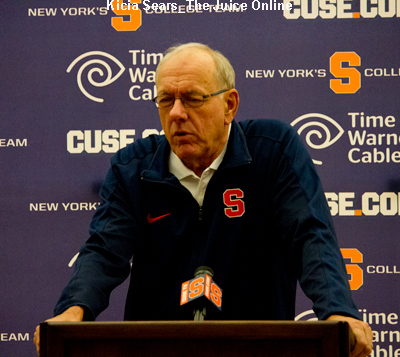 I don’t like to buy into that being a reflection of the Syracuse program. There are too many factors that go into being a good NBA player. I like Lydon. Thought he could have stayed or left. I don’t know how he’ll fare in the NBA. But you have to try and be the best. And if he felt the NBA was the place over Cuse, you just have to root for him. Fans shouldn’t root against their college guys because they opted for the NBA over staying in school. Let them do their thing. Plus, having your school have first-round draft picks in 2017, 2016, 2015, 2014, 2013 and 2012 is a pretty good look for recruits and fans alike. Syracuse may not be the NBA factory that Kentucky or Duke represent, but it should still be considered a top-tier basketball program.